These Reebok Men's Black RB8874 Rapid Response EH Side Zip Composite Toe Military Boots are like military tanks for your feet. No, they’re not heavy or made of metal. Rather, just like military tanks they’re tough enough to move over the roughest terrain. These ... (see full details) (see specifications) #RBKRB8874. These Reebok Men's Black RB8874 Rapid Response EH Side Zip Composite Toe Military Boots are like military tanks for your feet. No, they’re not heavy or made of metal. Rather, just like military tanks they’re tough enough to move over the roughest terrain. These bad boys will help you, well, beat the bad boys. These black shoes are loaded with safety and comfort features to keep you and your feet protected and supported to get you through many battles. Made of composite, the safety toes on these tactical boots are ASTM F2413-05 rated to bring you endless protection from falling and crushing objects. These Stealth boots are 100% non-metallic so they're "security-friendly." They also provide electrical hazard protection. Manufactured with leather and Cordura uppers, these exceptional boots are lightweight, yet incredibly durable. Let’s face it, you won’t be wearing these Reebok duty boots for a leisurely stroll in the park (well, you can if you want to), so you need them to be strong. You’ll be moving around and working up a sweat in these military boots. For your comfort, the Tailex and Cambrelle lining works as a tag team to keep moisture away and out of your composite toe boots. The Cambrelle lining also provides excellent abrasion-resistance and cuts down on chafing by molding itself to the motions of your walk. The comfort features don’t end there. These boots also feature a dual-density polyurethane cushion insoles to provide lightweight padding for your feet. Stop pain and fatigue in their tracks with the F2 FootForce insole. Compatible with both ESD and conductive footwear, F2 insoles cushion your feet and stabilize your heels to keep leg and back pain at bay for hours. The dual-density, Mountain Trail rubber bottom and EVA cushion midsole and shock eliminator heel plug make for super-durable electrical hazard boots that offers excellent traction while cushioning your steps. The non-marking soles are also slip- and oil-resistant. These duty boots might look like you need to set aside time each day to put them on and take them off. Don’t be fooled. The stealth side zippers offer easy on and off. Reebok Black RB8874 Rapid Response EH Side Zip Military Composite Toe Men's Boots work as hard as a military tank yet they’re as soft as a pillow. Get yours today. If you liked the Converse C8874, then you are sure to like the Reebok RB8874. 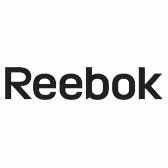 Many of the Converse models the Working Person (and other vendors) used to carry are now under the Reebok name. Model C8874 might now be found as RB8874. Shoe C4440 is now RB4440 and so on. Having said that; this was my fourth Converse footwear purchase from Working Person. I especially like that when ordering Converse in a WIDE shoe or boot - ...it's WIDE! The safety-toe has been a problem with most manufacturers because they don't widen the toe portion of the shoe/boot much when steel or composite toes are added. Converse made the effort to widen the safety-toe portion as it should be! I can only hope Reebok will continue to do the same. I understand they will continue to use the same manufacturing plants, so it should stay with the previous specs. The sole was comfortable from day-one! The uppers were the part that took a couple weeks (2-3) to break-in comfortably by wearing every-other-day. Now; they feel great! They are light-weight & I love the zipper side with the Velcro that keeps the zipper up and not flying around. The only improvement I can even think of might be to add a "finger-loop" in the back to aid in pulling the boot onto your foot. Other than that; they made an ideal product! When I first saw these Reebok boots online I was impressed with the design specs. I work in heavy construction and needed something equally heavy duty. From the first time I tried them on I felt the difference. They are comfortable and give me room to wiggle my toes. I took them out for a spin around in the mud and noticed the tread pattern in the soles were great, they fgrip perfectly. I would recommend these Reeboks to anyone who works construction and needs additional ankle support. Comfortable and durable to take in the rough and tumble. My only complaint is Reebok should have included their logo in color, but that's only cosmetic. When I was wearing these boots it felt like the plastic lace holes on the outside was pushing against my feet making them very uncomfortable. I only wore these boots one time for a 12 hour work shift and I will never wear them again. These boots are awesome. They provide great traction on every surface and they look absolutely amazing. The zipper is great for putting them on quick. I have wore these boots every day since I bought them, that was over a year ago and they are still going strong. The ankle support is amazing. I injured my ankle in a motorcycle crash and these Reebok boots give it excellent support. These boots are by far the most comfortable and durable boots I've ever purchased. They provide excellent traction on every surface I walk on, whether it is asphalt, tile even mud. The support is amazing , and the zipper is a very handy feature quick on and off. I can't even tell the zipper is there when I am wearing these boots. I would absolutely recommend these Reebok boots to anyone looking for boots that will last them a long time. Reebok Boots: Men's Black RB8874 Rapid Response EH Composite Toe Military Boots is being added to your cart.